I owe you guys a FO post... I finished a hat recently, but I need to take photos, so stay tuned to (tomorrow?) for those. I've happened upon some lovely new things for my queue, recently. Some have come from the new Recommendations feature on Ravelry. If you go to http://www.ravelry.com/patterns/recommended, custom patterns will pop up for you! I'm sure most of you have already found this, and I don't tend to look at mine so often, but perhaps I should. I tend to rely more on my Ravelry friend network to expose me to greatness. 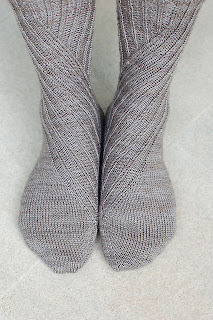 Cookie A. has won me over with Slide, a geometric sock pattern. I normally don't look twice at sock patterns, opting to knit plain socks as infrequently as possible, but these really catch me. 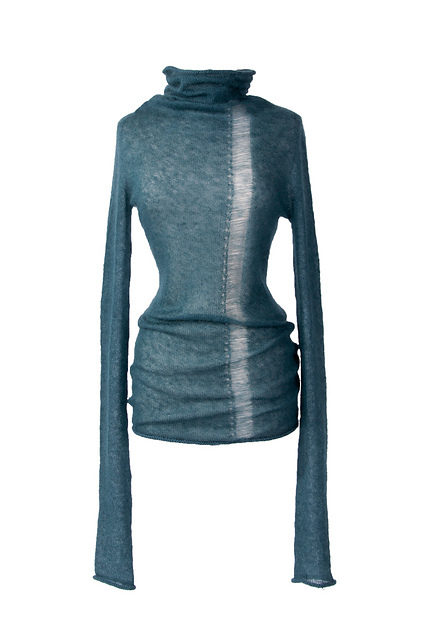 At $6.50, the price seems steep (I've bought whole cardigan patterns for that amount! ), but I find myself looking through the finished projects quite happily. 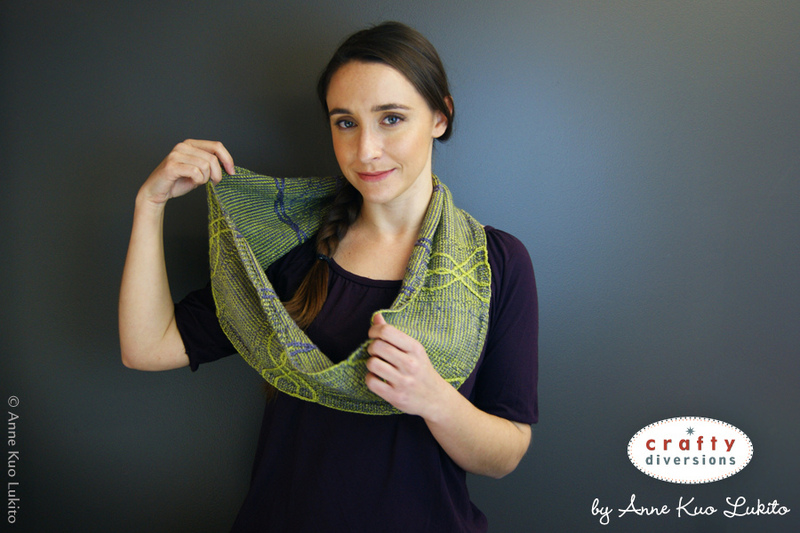 Fantome cowl, by Anne Kuo Lukito, is a gorgeous cowl project that has so much potential for color exploration. Unlike the plethora of traditional cowls on Ravelry, this has great graphic panels and looks like something I might pick up at Nordstrom. A pretty, giftable little thing. We're almost halfway through February! Get some lovely wool wash and balm in my giveaway!